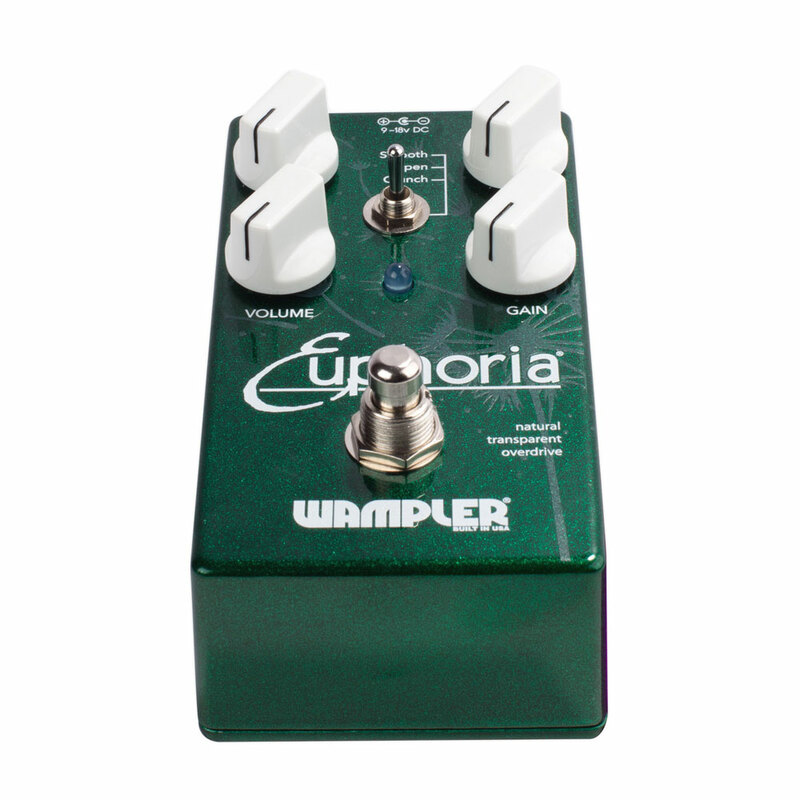 The Wampler Euphoria has been world renowned for many things over the years, but primarily it has become famous for its versatility and that old boutique catch phrase "transparency". 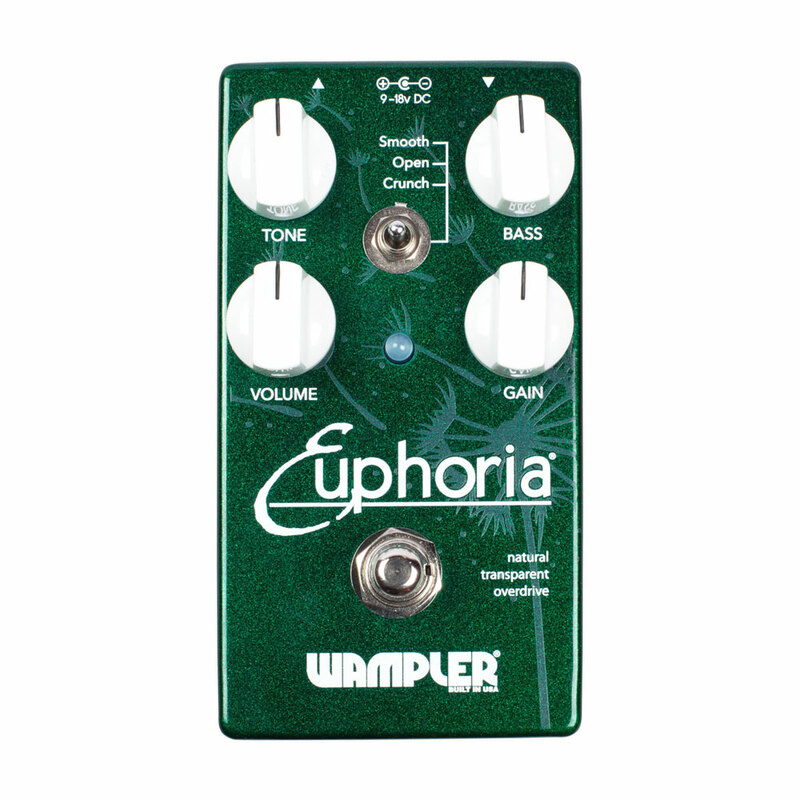 When Brian Wampler created the circuit that would eventually become the Euphoria, he was working on creating a pedal that would go from clean tones to extremely fat tones while adding a bit of warmth, a natural overdrive, it needed to be dynamic, have a great choice of tones (from gritty to smooth) yet be able to respond to the volume knob like a tube amp. 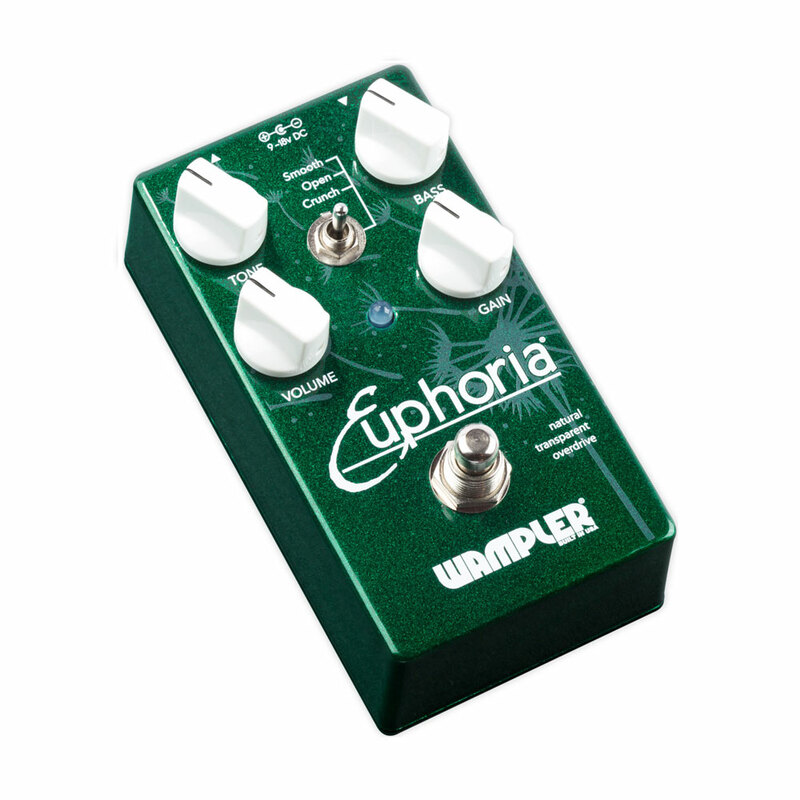 The hidden secret of the Euphoria is the pre-gain bass control. This gives the tone a fatness that a regular EQ stack cannot give you, it gives you a warmth and sustain to the tone similar to that of a Dumble amplifier. The three position switch is named Smooth, Open and Crunch and each represents a totally different internal gain pathway. Smooth is the most 'Dumble' style sound, with a great degree of presence and tremendous touch response. 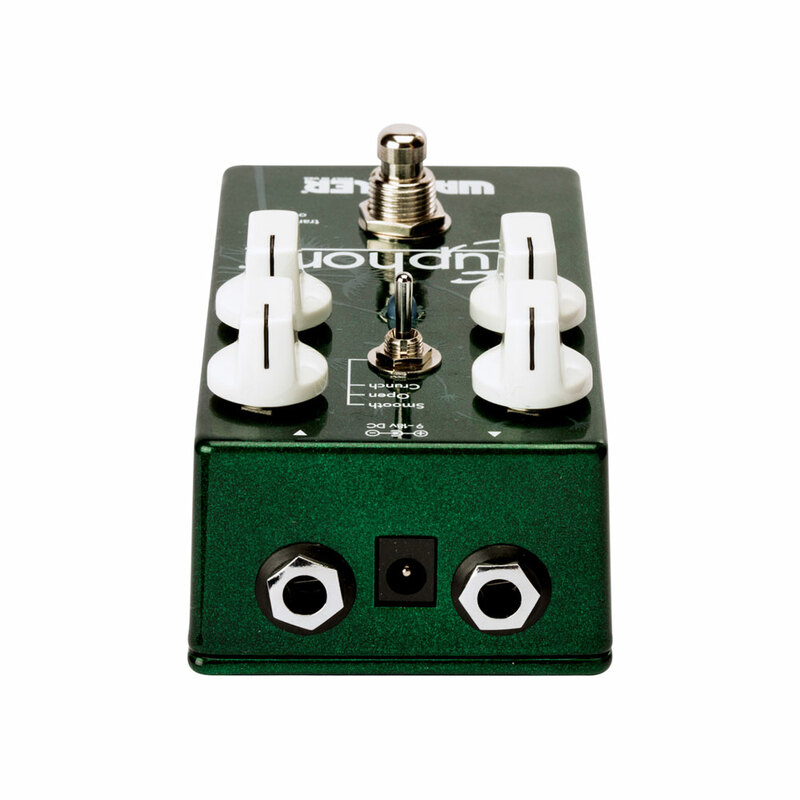 Open comes with a substantial volume boost and has the most forward, least driven sound of any of the positions. Crunch is, true to its name, the crunchiest, higher gain side of the pedal. 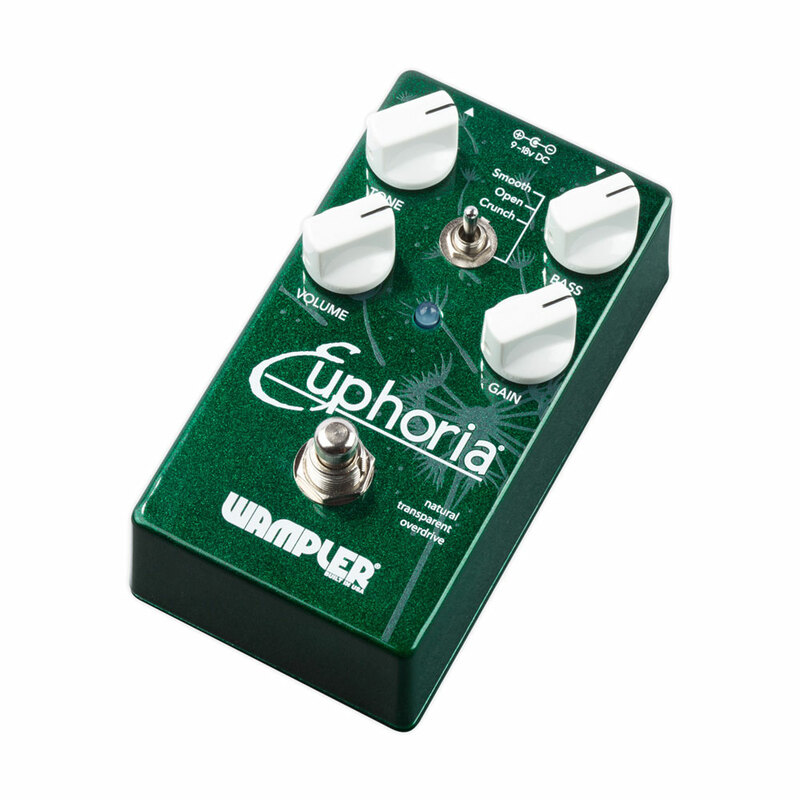 If you love the sound of your clean tone, and just wish you could have more hair on the note, a little bit of grit without any change in tonality, the Euphoria will do that with ease.